Academy Award-winning actress Nicole Kidman first came to the attention of American audiences with her critically acclaimed performance in Phillip Noyce’s riveting Australian psychological thriller Dead Calm. She has since become an internationally acclaimed actress known for her range and versatility. of iconic author Virginia Woolf in Stephen Daldry’s The Hours. Ms. Kidman’s first Oscar nomination came for her performance in Baz Luhrmann’s innovative musical Moulin Rouge!, for which she won her first Golden Globe Award; she was concurrently Golden Globe Award-nominated for her work in Alejandro Amenábar’s psychological thriller The Others. She was again an Academy Award nominee for her portrayal in the drama Rabbit Hole, directed by John Cameron Mitchell, for which she also received Golden Globe, Screen Actors Guild, and Spirit Award nominations for Best Actress. The film was developed by Ms. Kidman’s production company, Blossom Films. She was most recently an Oscar nominee for her performance in the empowering true story Lion, directed by Garth Davis, also receiving Critics’ Choice, Golden Globe, BAFTA, and Screen Actors Guild Award nominations; and winning an Australian Academy of Cinema and Television Arts (AACTA) International Award. Ms. Kidman was nominated for an AACTA for her performance in Lee Daniels’ The Paperboy, and also earned Screen Actors Guild and Golden Globe Award nominations. Among her many other films is The Family Fang, directed by and starring Jason Bateman, which she also produced. Ms. Kidman’s Blossom Films, alongside Reese Witherspoon’s Pacific Standard production company, produced the HBO limited series Big Little Lies, directed by Jean-Marc Vallée, which premiered in February 2017 to critical acclaim. She starred in the series alongside Ms. Witherspoon, Shailene Woodley, Laura Dern, Zoe Kravitz, and Alexander Skarsgård. 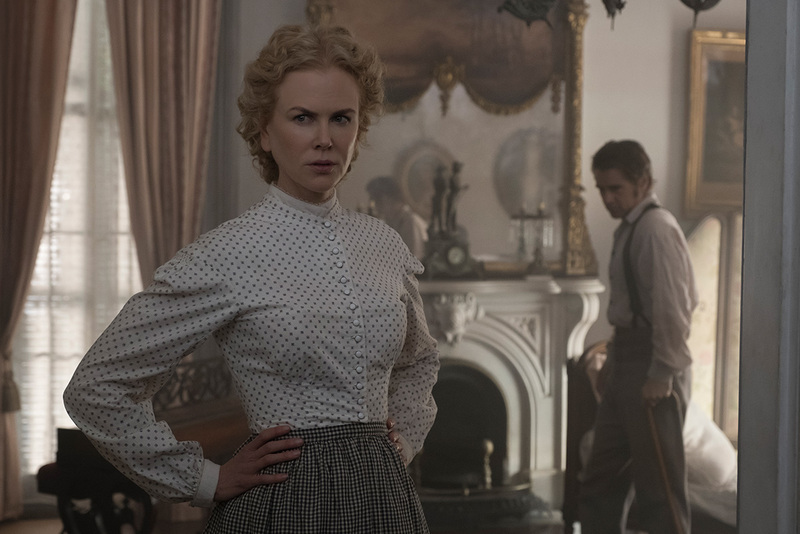 Also for HBO, Ms. Kidman portrayed famed war correspondent Martha Gellhorn in Philip Kaufman’s telefilm Hemingway & Gellhorn, earning Emmy, Golden Globe, and Screen Actors Guild Award nominations. In theater, she made a highly lauded London stage debut in the fall of 1998 starring with Iain Glenn in The Blue Room, David Hare’s modern adaptation of Schnitzler’s La Ronde. Her performance brought her an Evening Standard Award as well as an Olivier Award nomination. She returned to the West End stage in 2015 to star in Anna Ziegler’s Photograph 51, for which she also received an Evening Standard Award. In January 2006, Ms. Kidman was awarded Australia’s highest honor, the Companion in the Order of Australia. She continues to serve as Goodwill Ambassador of the United Nations Development Fund for Women, UN Women, whose goals are to foster women’s empowerment and gender equality; to raise awareness of the infringement on women’s human rights around the world; and to end violence against women. Along with her husband, Keith Urban, she has helped raise millions of dollars over the years for the Women’s Cancer Program, a world-renowned center for research into the causes, treatment, prevention, and eventual cure of women’s cancer.